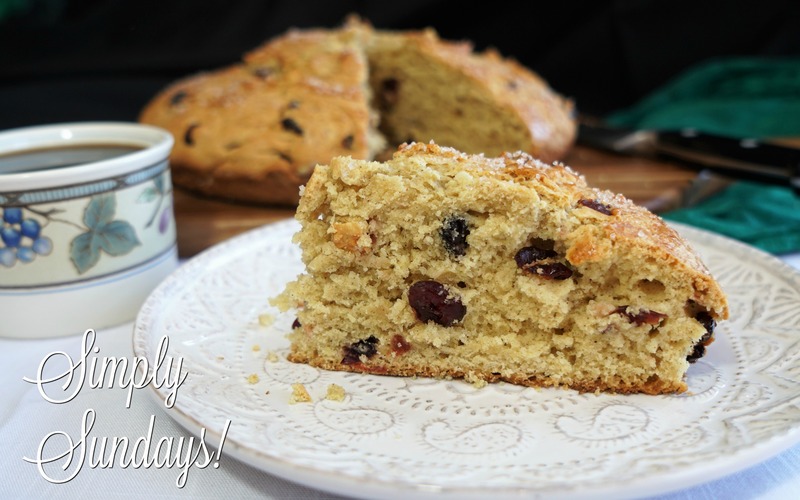 Irish Soda Bread – Simply Sundays! Yum! I think I just might have to try this with the dried cranberries! Question: What is sanding sugar? Sanding sugar is a large crystal sugar that is usually put on cookies, cakes, muffins etc. right before baking. Unlike regular white sugar, sanding sugar doesn’t melt, so it gives a nice shine and a little sweet crunch. You can usually find it in the baking section at the grocery store or large craft stores, like Michaels. It’s optional in this recipe, but if you like a little extra “sweet”, you might like it! Let us know if you try it out!